Growing plants well and getting the best crops has been a dream of gardeners since humans first started cultivating the land for food. There are many different ways to grow plants from the traditional flowerbed in your backyard to more complicated set ups. Even the most amateur gardeners can grow some bedding plants and hardy perennials but if you’re looking to up your gardening game you might want to try more difficult flowers or crops. Deep water culture, or hydroponics, is a way to grow different plants that need a careful balance of nutrients and minerals. But what is deep water culture? How do you set it up so you can grow plants at home? And just what plants can you grow using deep water culture? There is a lot of information online and it can seem overwhelming if you’ve never attempted deep water culture growing before. There are so many different opinions, products and advice out there it can be hard to know what to do for the best. This article gives you everything you need to know about this growing method and how you can get the best results from your plants. Follow this step by step how to guide and learn everything about hydroponics, what nutrients to use and how to set up your own system. What is deep water culture? Deep water culture is more commonly known as hydroponics. The main difference between hydroponics and a traditional garden is the fact there is no soil or growing medium. Instead of planting in soil, your blooms are suspended in nutrient-rich water. Plants are hanging or potted above trays or water systems with their roots dangling straight into this water mixture. When you first look into hydroponics as a growing method, it can be confusing. We’ve often been told never to over-water plants and gardeners stick to strict schedules depending on the plants they are trying to cultivate. But with hydroponics there is no soil to keep the moisture around the roots so while the roots are constantly submerged, there are all kinds of systems that also allow air into the mixture and bubble it around the roots to make sure it gets the energy it needs without having too much water. So you don’t have to buy specialist aquatic plants, you can just measure the right amount of growing nutrients and keep it at the right temperature to make sure it thrives. While some people think DWC is complex and expensive, it is really just growing plants in aerated water. All you really need is a container, lid, pump and net pot. The container is filled with your chosen growing water which changes depending on the type of plant you want to grow. You don’t even need to buy a pump to aerate the water, you can use an air stone to make sure the water is bubbling and your plant is getting enough oxygen. There are many benefits to growing your plants in a deep water culture system. Any plant which has high levels of oxygen around the roots will make the roots strong, long and healthy. Roots are key to a plant’s survival and strength and the more aeration you can put around the roots will increase the amount of water it absorbs, the level or nutrients it gathers and will improve cell growth and activity. Aerating the water also stops it becoming stagnant and stops root problems such as pythium. If you over water a plant you might find it getting root rot or diseases spreading along the plant itself. If water is allowed to sit in the soil for too long, it can damage your plants and stop it growing properly. Growing in soil can also spread disease and your plants are more vulnerable to blight and problems. Pests can also get onto your plants if you are growing outdoors unlike a hydroponic system which is often protected due to being indoors or inside a greenhouse. Many gardeners like deep water culture because it gives them control over the exact amounts of minerals and nutrients plants are exposed to. Even with testing soil, you still cannot be sure that you know the exact levels of particular nutrients. With a hydroponic system, you can measure out exact amounts of feed which ensures your plant is only exposed to what you want. There are cons with every type of growing system but with hydroponics the effects can be quite dramatic. The plants you set up in your deep water culture system are growing within the reservoir and have no access to any other minerals or nutrients. This means it is your responsibility to make sure it has everything it needs. If you forget to put in one of the nutrients, or if you change the pH balance too dramatically, you can affect how your whole plant grows. The system is self-contained in a bucket so the only way you can change the level of nutrients or additives is to remove the plant and change the water. It can be quite tricky to move a delicate plant and you can risk damaging the root structure if it is moved too often. The other thing you need to do is regularly monitor your system. Unlike a plant in a flowerbed outside, the hydroponics won’t benefit from rainfall so you need to make sure you keep the water topped up manually. You also need to check the aeration constantly; if that system fails your roots can become damaged quite quickly. You can grow many different types of plants with hydroponics but some kinds of flora or fauna react better to this type of growing. Tomatoes and lettuce are two of the easiest crops to grow in a deep water culture system so if you are just starting out it might be a good idea to pick these hardy and easy to grow varieties. There are very simple set ups you can create on your own with very little technical knowledge and are inexpensive. Here, we walk you through a straightforward deep water culture system so you can set up your own growing area at home. A DIY hydroponic system should have a bucket for every plant. The bucket should hold around 10 to 15 litres of water and it should have an air tight lid. Make sure you use food-grade plastic which stops any light getting into the root system. Pro tip: Don’t use black containers as these conduct heat and can lead to problems. Cut a hole in the centre of the lid of your bucket which is big enough for your plant to fit through but small enough that the entire plant won’t fall into the bucket. Remember, as your plant grows it will get heavier so bear this in mind when cutting the hole and make sure it will support the plant even as it grows. Take a cutting with roots from an existing plant or get a plant that is ready to grow and remove all soil or debris it may have on it. You should have already pre-mixed your nutrient solution. Directions for the amount of nutrients you need and what pH balance it should be varies from plant to plant. Make sure it is well mixed with clean, de-chlorinated water.The bucket should be filled two thirds of the way up with a half strength solution. Take your air stone and put it on the base of the bucket. Attach the air stone to whatever pump you are using with an air line. Make sure the air stone has room all the way round it to stop it getting clogged which can stop it working properly. Once everything is connected, give it one more check over and then start your air pump. If everything is working as it should be your nutrient solution should immediately start bubbling as the air stone and pump get to work. You will see bubbles forming and the surface will ripple. It may look as though it is working too hard but it is perfectly normal for a hydroponic system to be quite noisy. Take your lid (with the hole already cut) and seal the top of your bucket. Place your new plant in through the hole and make sure the roots are touching the water slightly.You will need to hand water the plant until the roots grow right down into the nutrient solution. This should only take around a week. So, there you have it. If you’ve wanted to set up a hydroponics system at home but didn’t know where to start hopefully this article has given you everything you need to know. Make sure you have the right equipment, choose a plant that does well in hydroponic systems and make sure you monitor it closely. When you have a deep water culture system you need to change the water and nutrients regularly, monitor the pH level and ensure the water always stays oxygenated. If you’ve found this article helpful please share it with your family and friends and if you have any more tips or advice comment below. How Long Does It Take to Grow Potatoes: Grow a Healthy Yield of Potatoes with no Fuss! A Nutrient Powerhouse: What Does Artichoke Taste Like? I’m Emily and after a ten year career as a journalist I have moved on to share my passion for gardening. While getting out in the garden is one of my favourite hobbies, and helps me de-stress after a long day in the office, I often found myself frustrated at not getting the results I wanted from my plants. 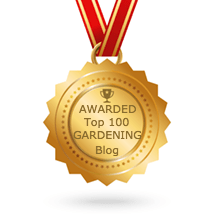 Through blogging, I have uncovered the answer to lots of common problems and now I want to share my knowledge with other horticulture enthusiasts. I’m Emily and after a ten year career as a journalist I have moved on to share my passion for gardening. Best Fertilizer Spreader- May Your Lawn Be as Smooth as Your Carpet! Horticulture vs. Botany: Is There Any Difference? GardeningWizards.com is a participant in the Amazon Services LLC Associates Program, an affiliate advertising program designed to provide a means for sites to earn advertising fees by advertising and linking to Amazon.com.